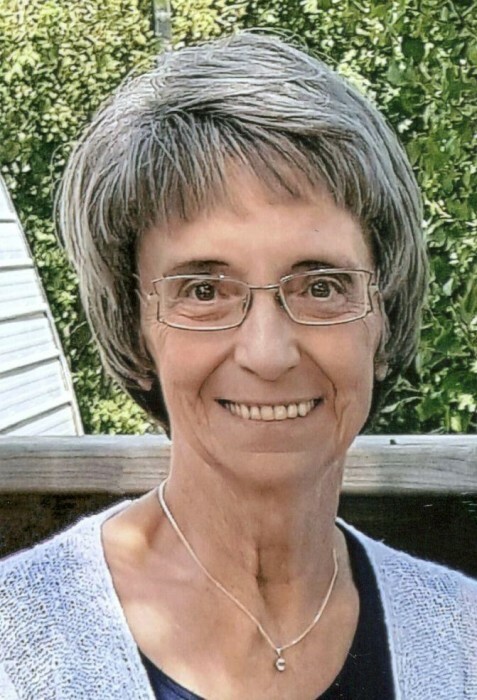 Sheila Froese, age 71, passed away peacefully with her family by her side on Monday, August 13, 2018 at Clover House, Swift Current, SK. She was born on June 7, 1947 at the Swift Current Union Hospital, the eleventh child of Abram & Anna Brown. She grew up in McMahon, SK until she was ten — the family spent two years in the Pennant, SK area before moving to Swift Current, where she received her middle and high school education. She graduated from Irwin School in 1965 then attended the University of Regina to receive her Education certificate. From there, she got a job at the Pennant School teaching the kindergarten and grade one class. In the spring of 1967, Sheila married Peter Froese, who farmed in the Success, SK area. Together, they raised two sons — Cameron and Darell — and farmed for 50 years. Sheila enjoyed farm life — especially hauling grain at harvest time — and looking after the yard to make sure all the grass was cut, and the bins were painted. She was also the secretary for the Village of Success from the late 1970’s to the early 1980’s. In the summer of 2016, Pete & Sheila sold the farm yard and retired to Swift Current. That fall, Sheila was diagnosed with cancer. Through faith and the support of family and friends, she retained her sense of humor, optimism, hope, patience, kindness, hospitable nature, and zest for life while battling cancer. Sheila is survived by her husband of 51 years, Peter Froese; her sons, Cam (Carrie) Frase and Darell Froese; her grandchildren, Carter Frase and Kea Frase; her sisters, Gertrude O’Dell, Jo Penner, Laura (Jack) Epp, Sylvia (Ejnar) Bloom, and Darlene Washington; her brothers, Dyck (Marilyn) Braun and Fred (Gerrie) Brown; her sister-in-law, Betty Brown; her brother-in-law, David Gunther; and by many nieces and nephews. She was predeceased by her parents, Abram & Anna Brown; her brothers, Jac Brown and Cornie (Mary) Brown; her sister, Selma Gunther; and by her brothers-in-law, Milton O’Dell, John Penner, and John Washington. The Funeral Service for Sheila Froese was held on Friday, August 17, 2018 at 2:00 pm from Bridgeway Community Church, Swift Current, SK with Pastor Bob Cappelle officiating. “How Great Thou Art” and “Amazing Grace” were sung by the congregation. Kerry & Sheila Braun and Leanne McConnell served as musicians, with “I Come to the Garden Alone” for special music. Tributes were given by Cam, Carter, and Kea Frase, the obituary was read by Carrie Frase. The ushers in the church were Dave Rempel, Darwin Johnsgaard, Kevin Epp, and Michael Bloom. The Private Interment Service was held prior to the Funeral Service from Hillcrest Cemetery, Swift Current, SK with Darell Froese, Teresa Johnsgaard, Cam Frase, Carrie Frase, Carter Frase, and Keandra Frase serving as Honorary Pallbearers.